Look at fish tides and see if you come up with any good data. Okay it seems you guys are missing my point. So let’s go by the tide charts and collect data. But factor in on top of that 1)water conditions temperature and clarity. 2)Wind direction 3) Bait, these three factor in the same as the tide and the moon phase . If you don’t believe me start collecting your own data and get back to me in the winter . I take fishing logs of good days and bad factor in those 3 things with the moon phase. You will see, bait follows water temperature. I've caught bass on full moons, new moons, half moons and any night I can get out there. 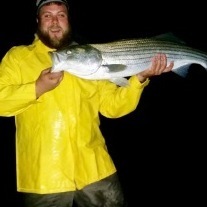 BTW, the bass in my avi was caught on a full moon night. Depends who you talk to. Some guys go fishing just to get out of the house and away from the bride. .
the bass have to eat every day I guess. So, is it 3-days before and after? Or, is it 4-days before and after? We gotta nail this down. I fish whatever moon phase is on the weekend. If the bait and fish are around, great! If not, then at least its the only exercise I get all week and nothing like sunrises and sunsets plus where else can you go and launch things (plugs) and pretend you are at the driving range except with a rod instead of clubs lol. I as well try to fish whenever and where ever i can. That being said the I always have more confidence when fishing around the new moon. The past 3 years during the June new moon (doesnt matter if its the first or the 25) a spot i like to fish has been hot. 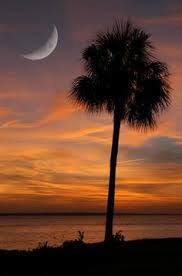 Then when the moon gets big, the fishing gets quieter. Therefore for me personally, when i can, I prefer to fish say 3 days during a 8 day period around the new moon then to fish sporadically and fish during the lighter nights. Not sure how much sense this all made, but with the places i like to fish the new moon has always treated me better. I don't even bother to fish the beach anymore when a full moon is above the horizon. Historically, I've seen that as soon as the big flashlight comes on, the fishing turns off. Different on boats where you can get down to the fish that are feeding below. Best nights for me last summer was two nights before full moon with heavy cloud cover and some rain, other than that times around a new moon with cloud cover, a pitch black where I can’t see my hand a foot in front of my face seem to be very productive. for me it does not matter,I'm gonna be out there anyway. if the tides are fast bait is going to flush out deeper and that means some kind of deeper swimmer be it giant pikies or one of my deeper swimming rip-splitters or a large fatcat. have hit the solid on both new and full[bright too]. faster tides bait flushes out over time and not in a blast of bait. fish will be held up in the channels and humps waiting for them. 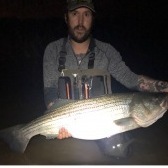 I fish stripers in a place where conditions are relatively constant. Water movement is influenced by man through dam releases. Bait is the same, it just gets bigger as the year goes on. I do not like a full moon. I do like more water movement better than less. Even with good current, I still don't expect much from a full moon. I will fish cloudy nights around the full moon. But if I had a choice to pick any given night of a month, it would be high outgoing at or near a new moon. Same here, only weekends I am available for fishing few hours before high tide. It's sure a good exercise for me after long weekdays of work in office.